The Stallworth family is back this fall and ready for an all-new season of Family Time. Season six of Bounce's hit comedy world premieres Monday, October 1st at 9/8c. 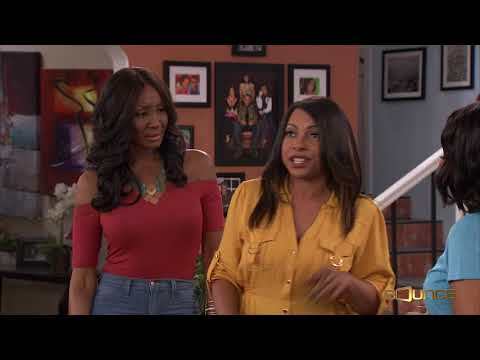 New season six episodes of Family Time will debut on Bounce Monday nights this fall and will also be available on Tuesdays on the popular subscription video-on-demand service Brown Sugar, along with complete seasons one through five. Family Time follows the lives of the Stallworth family who relocated to the suburbs after hitting the lottery. High school sweethearts Tony (Omar Gooding) and Lisa (Angell Conwell) wrangle each other and their mischievous children, Devin and Ebony, as they make up their own rules for love, marriage and family along the way. Bentley Kyle Evans, Jr., Jayla Calhoun, Clayton Thomas and Tanjareen Thomas guest star. Family Time Season 6 was released on Bounce TV 200d ago in the US. Notify me when Family Time Season 6 is available.